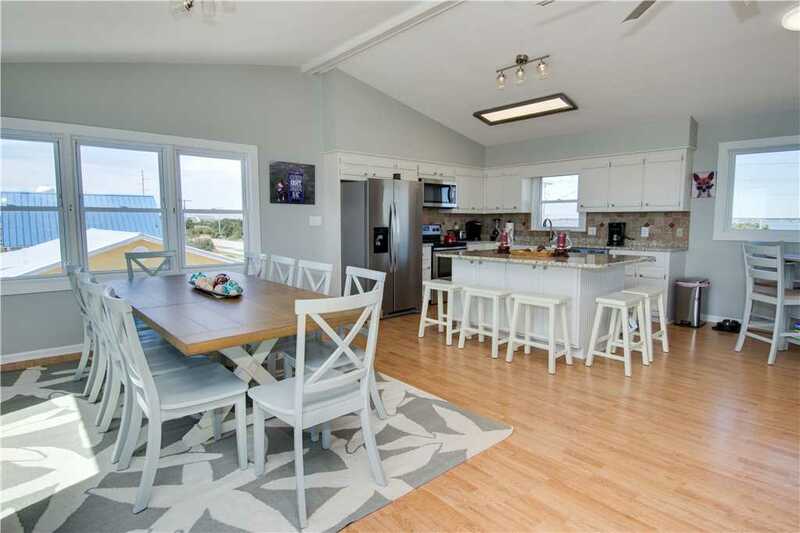 This week’s featured property provides modern essentials that make a family beach vacation easy, fun, and most of all, relaxing. 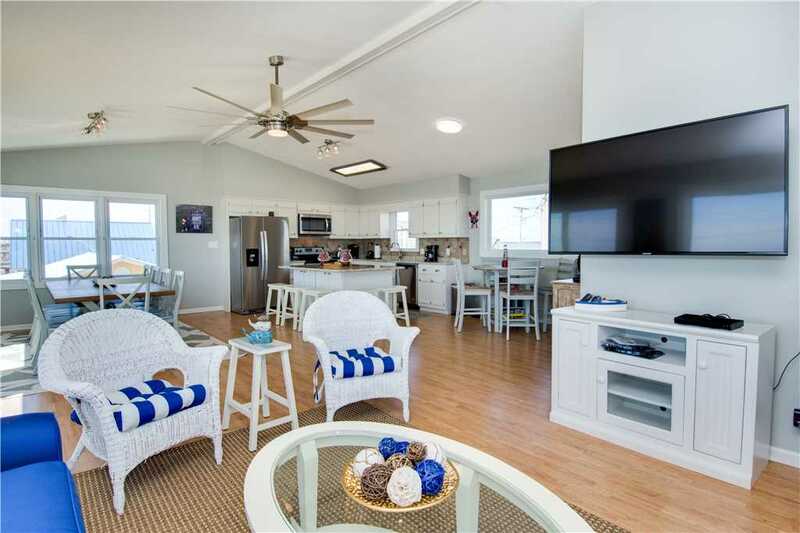 Annie’s Place underwent a major makeover earlier this year and is ready for you and the family to call it home on your next trip to the Crystal Coast! The recent renovation at Annie’s Place is impressive, to say the least. 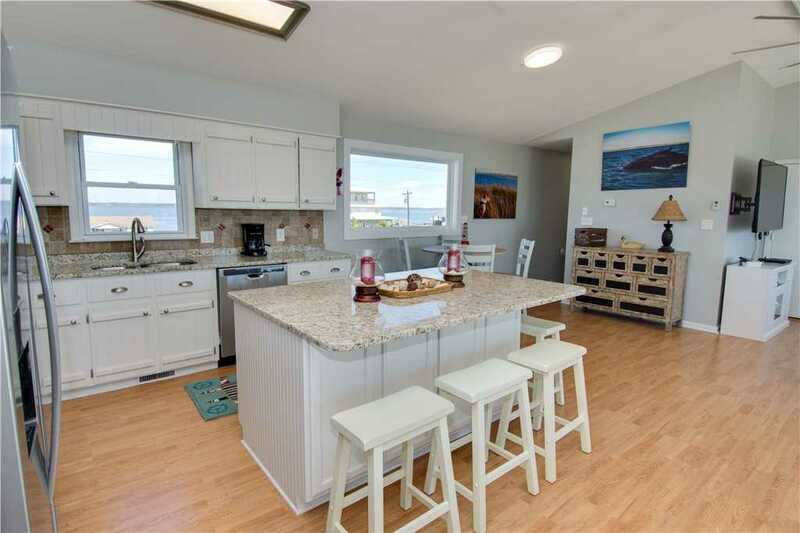 The kitchen has brand new granite counter tops, all new stainless-steel appliances, and a large island that adds additional seating for 6 people. The kitchen opens up to a large dining space that will fit the entire family or group, and the open concept continues into the living room, which looks like it came straight out of a magazine. Bringing the family all together with space for everyone to relax was a top priority in this renovation. Annie’s Place is filled with cozy and comfy couches, ample seating, and a large flat-screen TV mounted to the wall, which is a recipe for perfect movie nights. 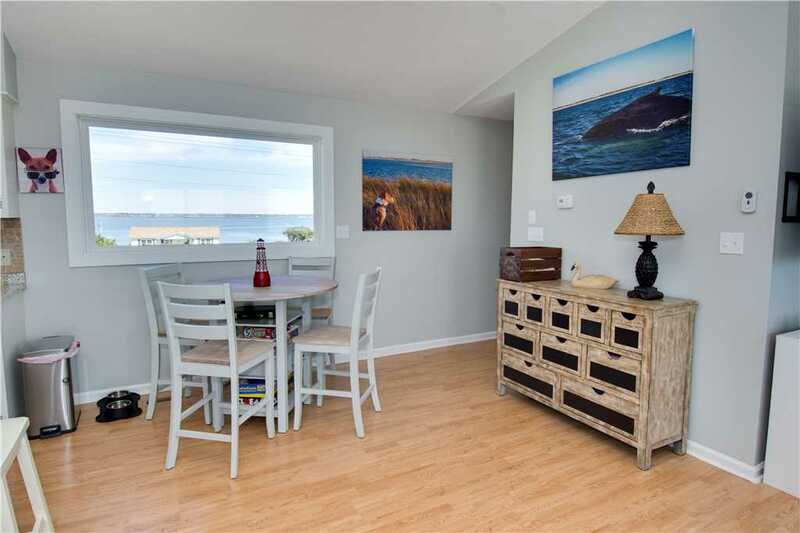 The large windows also provide great natural light during the day for you to enjoy whether you’re taking a break from a morning at the beach or grabbing a quick bite to eat. 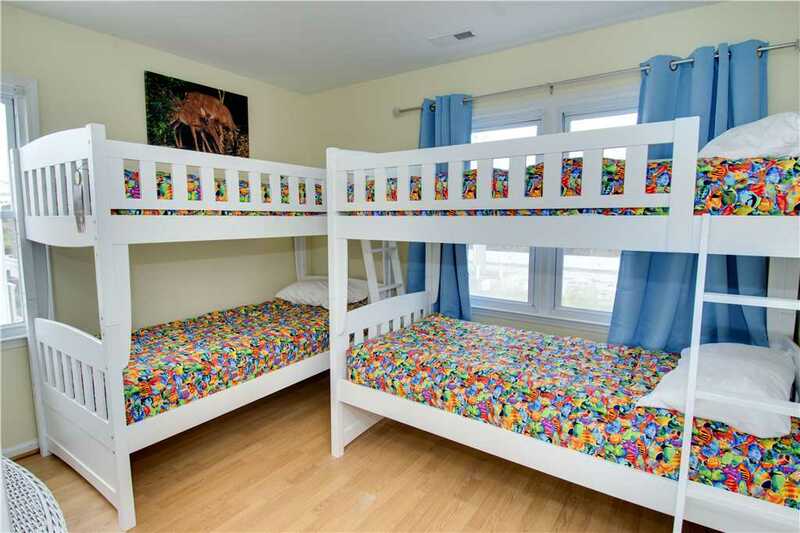 Annie’s Place has four inviting bedrooms, which includes three queen beds and a bunkroom with two sets of bunk beds that are perfect for the kids. 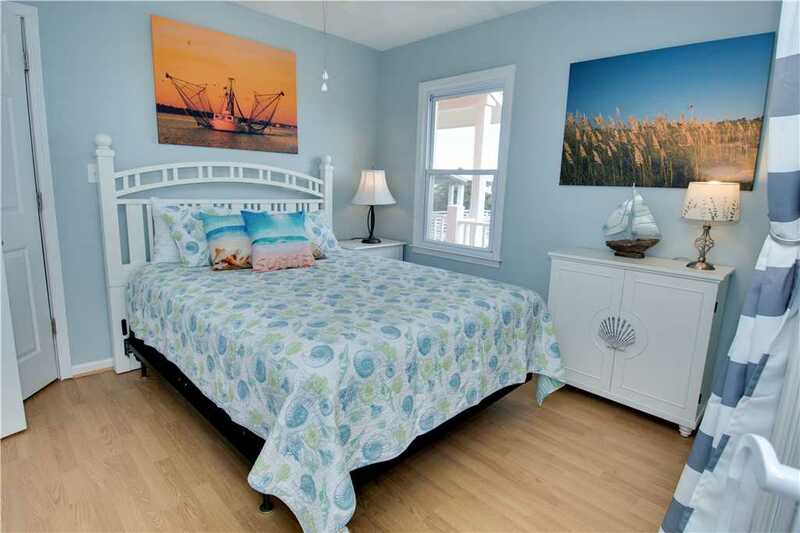 The bedrooms are comfortable and relaxing and will be the perfect place to unwind and recharge after a day spent exploring the Crystal Coast. 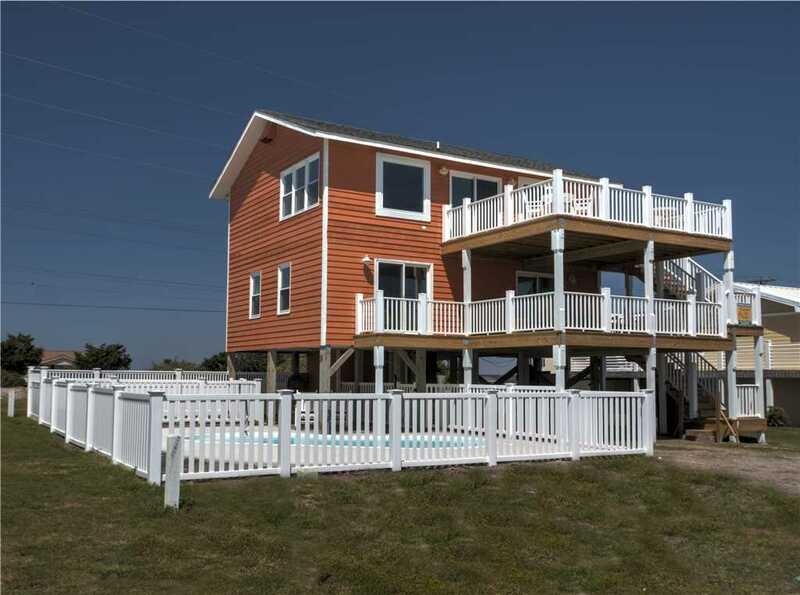 What makes this property is special is the ability to have that family connection with the open floor plan design, while still being able to enjoy some quiet time when needed. The upgrades at Annie’s Place aren’t limited to just the inside of the property. Outside, guests will enjoy a brand new private swimming pool with chaise lounges for working on your tan or flipping through your favorite page-turner. 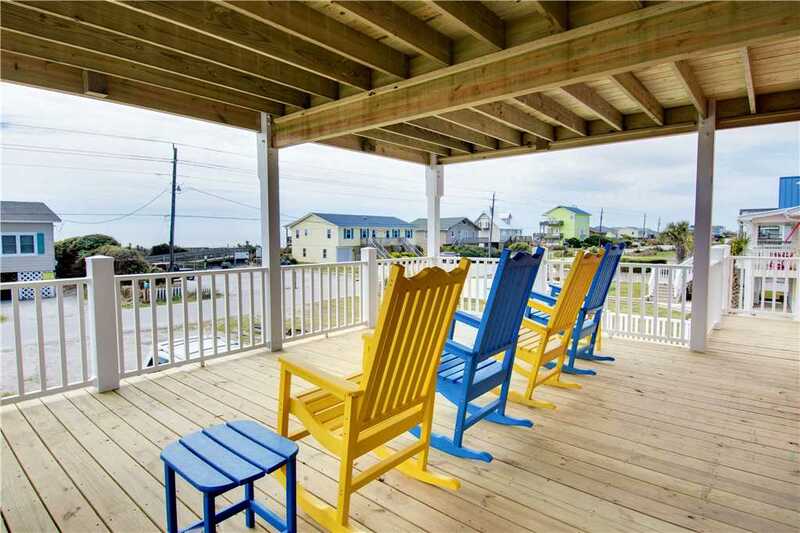 Annie’s Place also has spacious covered decks and plenty of outdoor seating to take in some of the best views of the Atlantic Ocean and Bogue Sound. If you aren’t satisfied with just enjoying the view, guests can take a short walk across the street and find themselves on the beach, toe-deep in soft sand and salty water. If you’re worried about finding a sitter or kenneling your favorite four-legged family member, worry not. Annie’s Place is ready for pups and the pet-friendly rental boasts its own dog run that will make your dog feel like they’re on their own vacation as well. 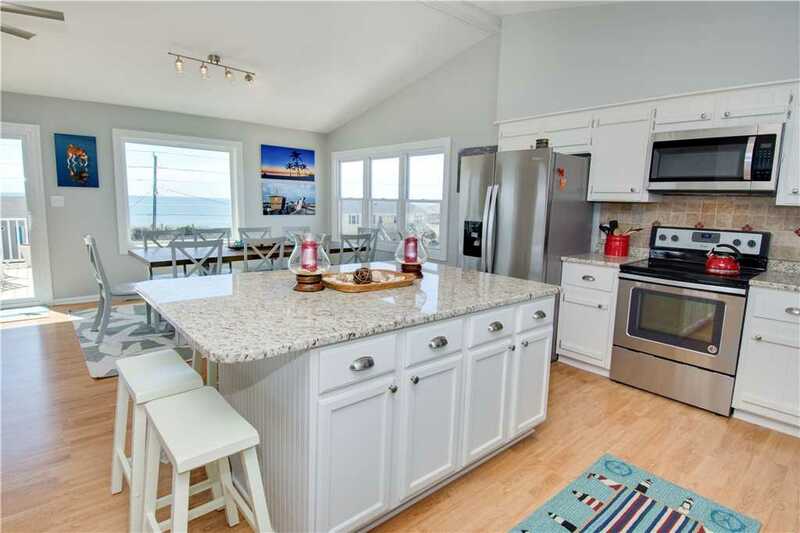 We know amazing renovations and oceanfront views are enough to make you never want to leave your rental, but Annie’s Place is nearby some of Emerald Isle’s most exciting attractions. 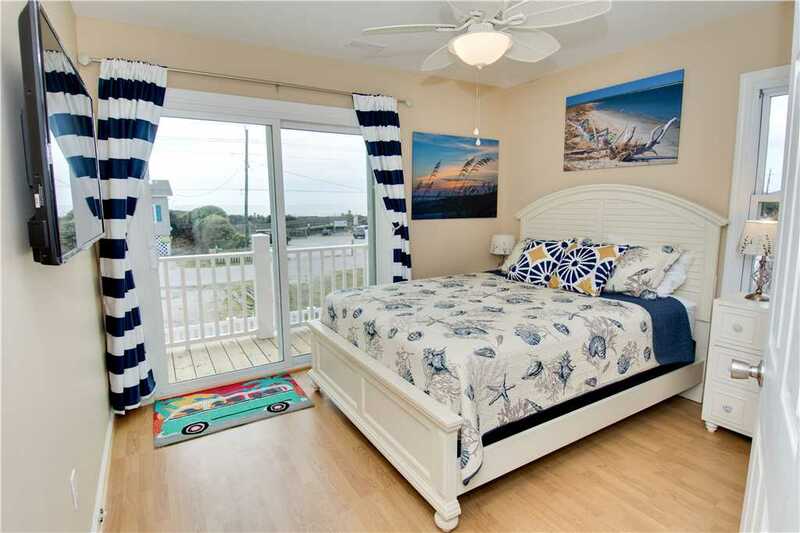 The property is only a short drive away from the North Carolina Aquarium at Pine Knoll Shores and will put you face to face with otters, sea turtles, and sharks. Don’t forget about the educational wildlife shows for the little ones as well! If you’re still trying to spend every second you can in the great outdoors, Annie’s Place is also close to the Emerald Isle Bike Path and provides the perfect scenery for a leisurely cruise with the family. And don’t worry if you didn’t have room for your own bikes, there are plenty of bike rental options during your stay.  Annie’s Place is ready for you and your family to make precious memories that will last for a lifetime. 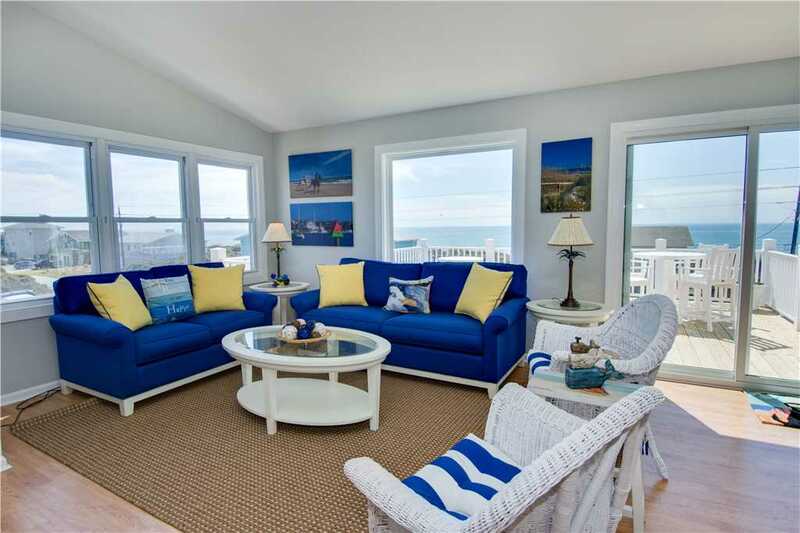 View more photos of this extraordinary and newly renovated property here.